Handbag of Hope acknowledges the real-life struggles we all have. Laugh along with the author as she learned how to not just cope, but endure with more strength than she realized she possessed. Hope became a key ingredient to living life. -Hilarious. Laugh with Diana throughout the book, especially the story about being caught in public in her polka dot pajamas. - Relevant. Relate to Diana's refreshing transparency as she recounts the zany details in planning a trip for some much needed R&R. - Heartwarming. Receive God's comfort knowing that He doesn't forget your efforts even when you think you've lost the neighbor's cat. What do you have stashed in your Handbag of Hope? Diana provides encouragement, empathy, and faith. As you consider the lighter side of some challenging situations, you too will discover the source of renewed hope. 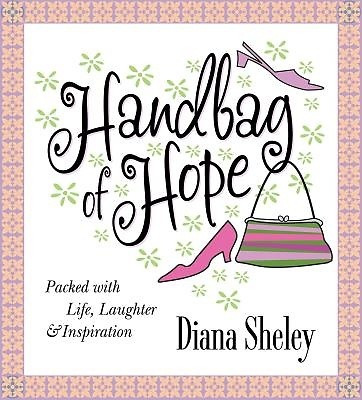 Handbag of Hope will allow you to escape for minutes at a time, giggling at the familiar situations in which all women can relate.